You can easily add product categories to your store to structure and filter your product catalogue from here. Go to the Store section in Pixpa Studio. Show category in store: Enable this option to show this category on your store. Category tags: Products with any of these tags will be included in this category automatically. Separate tags with commas. 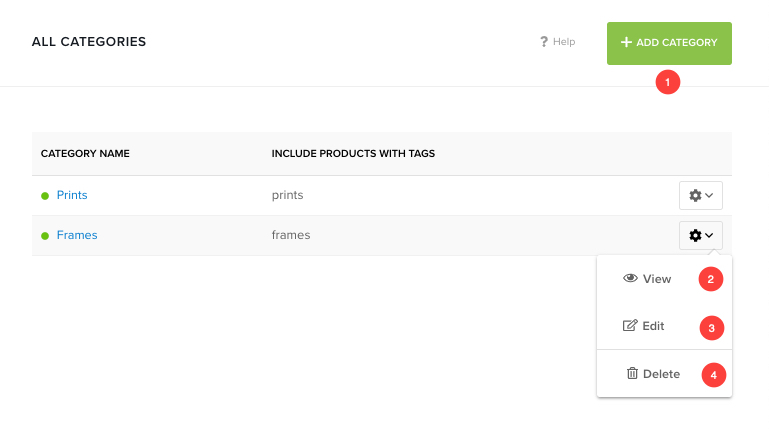 See how to use tags for categories and products. SEO data – Specify SEO meta data for this category. 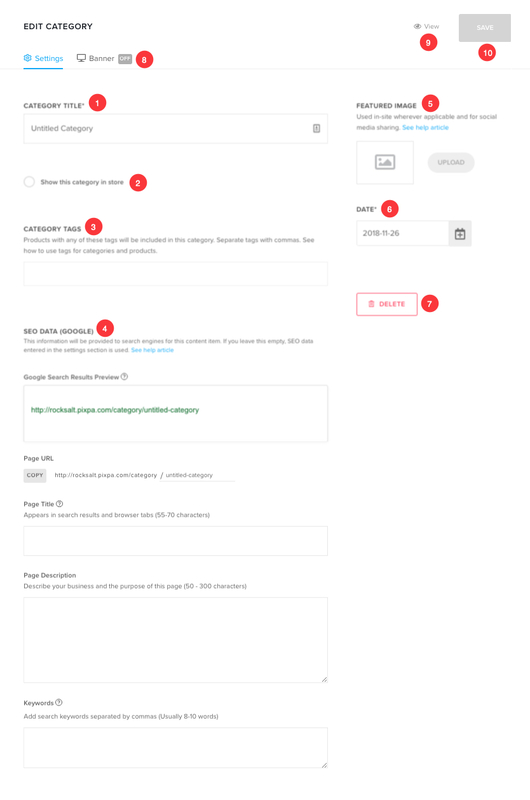 It will over-ride site’s main SEO data, specified in website settings section. Know more. Page URL – Manage the URL for this category. This is automatically created based on your Gallery Title but you can customize it as well. Date: Categories get sequenced by the date of their creation. Delete: Delete a category using this option. Banner – Used to show a full-width banner on the top or bottom of the category. Know more.